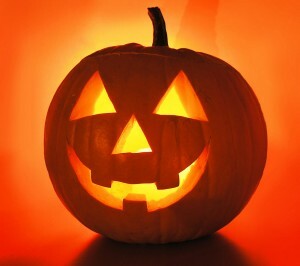 Home > Blog > Safe Trick-or-Safe Treat? It’s October 30! And you know what that means! Sometime between tonight and tomorrow night, it’s time to don your creepy, crazy costumes and weave about the neighborhoods, going door-to-door with a demanding request for sugary treats. Hall oween is the one time of the year when scary things are celebrated and people WANT to be frightened. But all in good fun! It isn’t any fun to really be scared. And even though Trick-or-Treating is all in good fun, it can actually be a dangerous activity on account of the poor visibility you might have while you’re out there. To help, I’ve jotted down a few tips to help you stay safe when heading out for Trick-or-Treat. 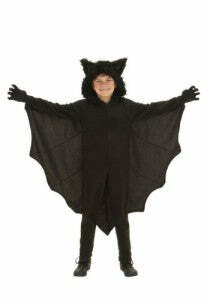 Black is a popular color for Halloween costumes, but it can’t be seen very well at dusk. It’s smart to use Trick-or-Treat bags with reflective tape and stickers to increase your visibility. Incorporate reflective materials or even glowing elements (with glow sticks or flashlights) into your costume if at all possible to help drivers to see you. Also, masks can often times reduce the visibility of the people inside them. Try non-toxic face paint if you can instead; otherwise, be mindful of your restricted vision and try removing the mask before crossing streets. When putting together your costume, make sure it’s the right size. Make sure it doesn’t hang too low—how embarrassing (and potentially painful) for a mummy to trip on his own wraps or a princess to stumble over her own dress! Avoid nasty spills with a cautious costume. Kids should always have adult supervision when out Trick-or-Treating unless their parents feel their kids are mature enough to go without. Many parents feel like 12 is old enough, but some kids mature faster than others. If your kid is old enough to Trick-or-Treat without you, remind them to only visit familiar, well-lit areas and that it’s safest to stay in groups. These tips ought to keep you safe so you can have a spooky, but fun time Trick-or-Treating this year! Happy Halloween and, as always, thanks for reading!